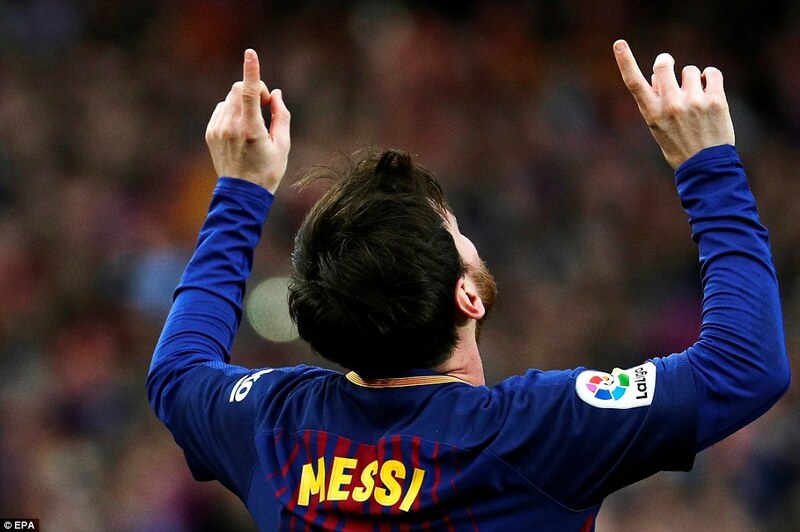 Career goal number 600 for Lionel Messi, it was special, it broke another record and it probably won the league for Barcelona. 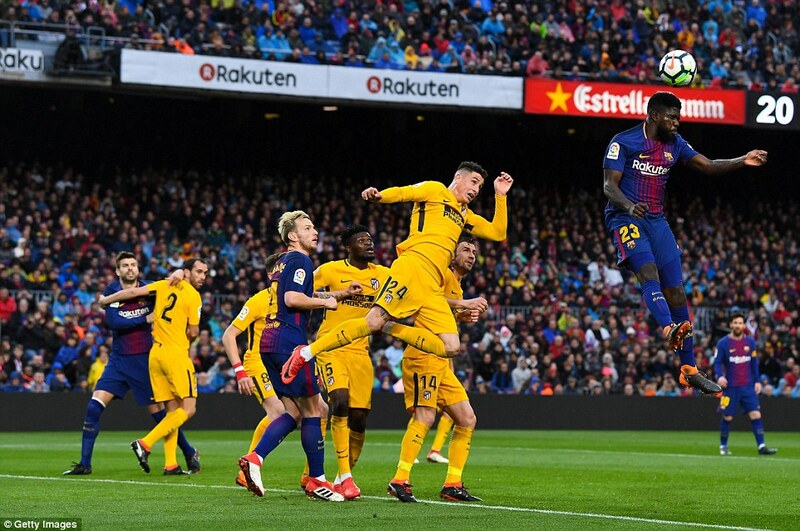 Thomas Partey fouled Messi 25 yards out with 25 minutes on the clock. 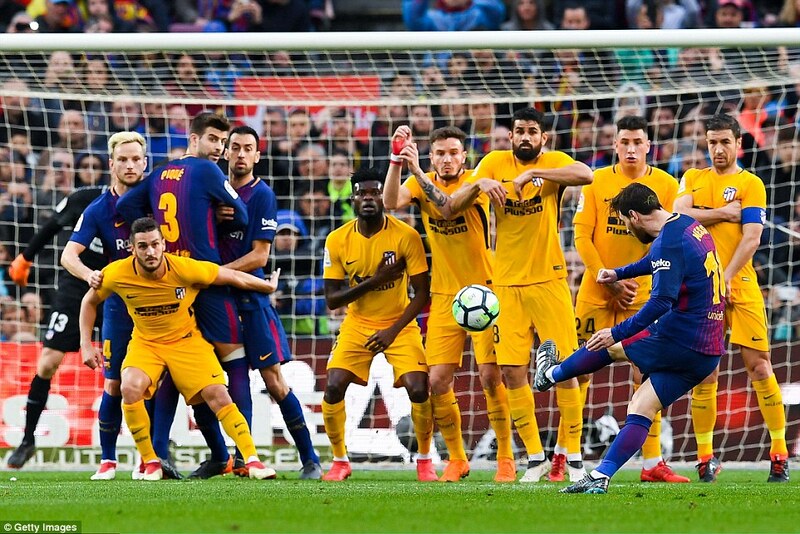 Messi was on a free-kick hat-trick having scored free-kick goals in his last two games. 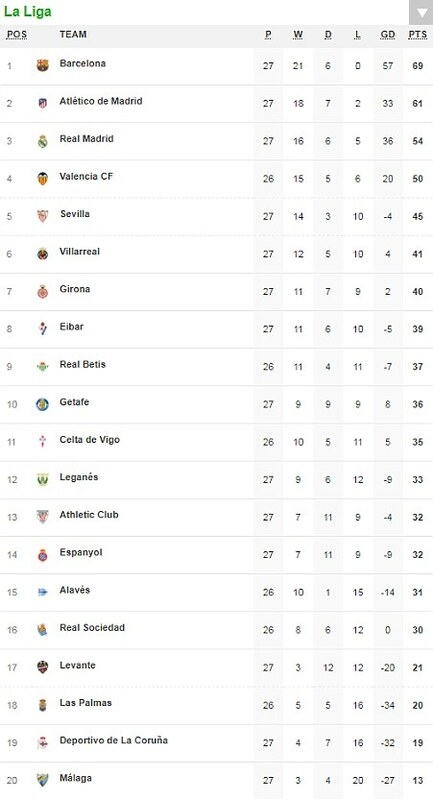 No one in La Liga had scored three games running. 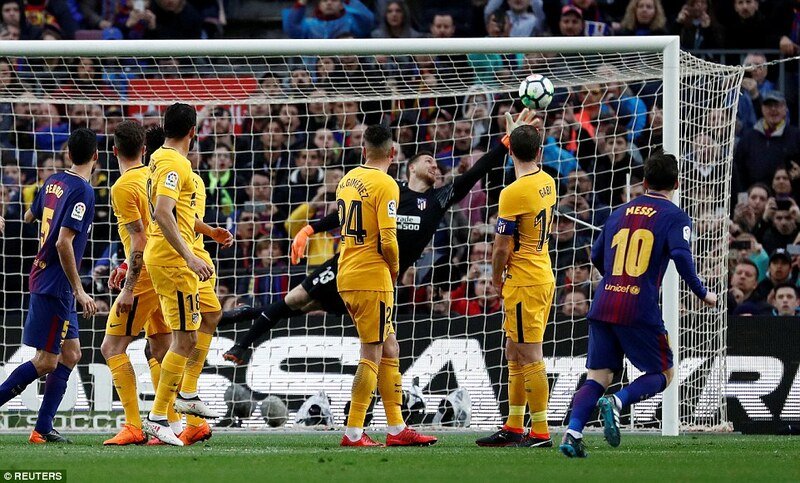 He made perfect contact with the ball and seemed to set-off to celebrate almost before Jan Oblak got a hand to it but failed to keep it out of his top left-hand corner. He ran to the three substitutes warming up on the touchline and soon the whole team had joined them to celebrate. 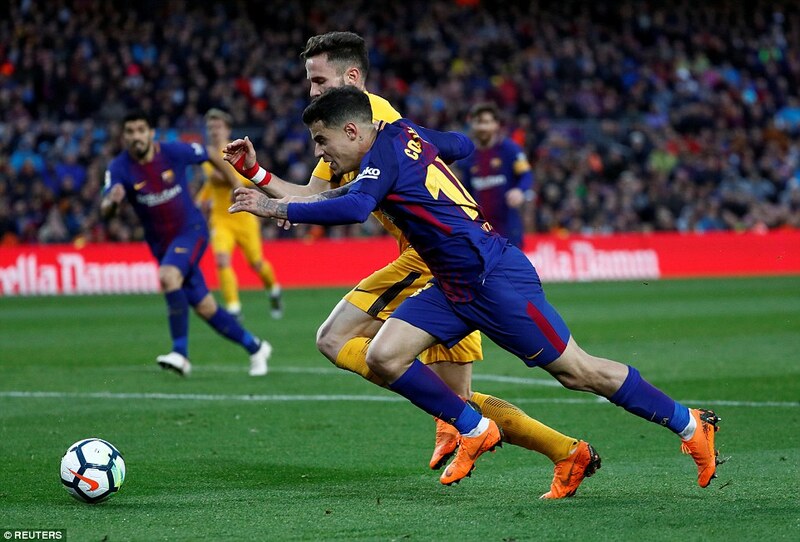 It was a goal worthy of a league title and it takes Barcelona a lot closer to winning this one. The 1-0 win means they are now eight points clear of Atletico Madrid with 11 games left to play. 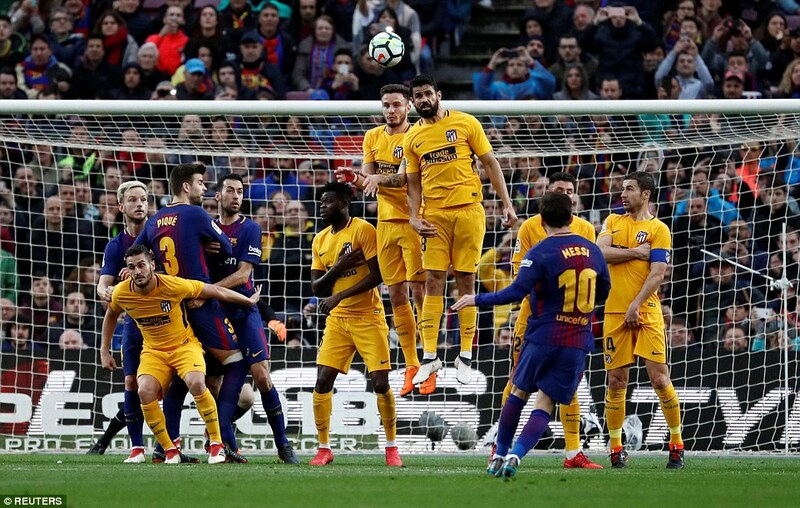 Messi had got one over the wall in a first half when Atletico’s yellow wall had kept Barcelona’s chances to a minimum. He had previously tested Oblak after wriggling away from three Atletico players but the keeper got down well to make the save. 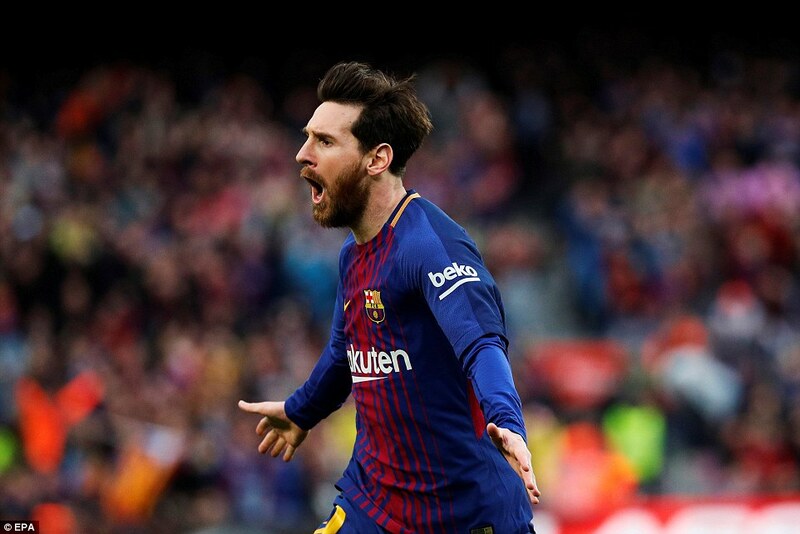 Messi had been frustrated at times too and there was a collector’s item before the goal when one of his long passes went straight out of play. Atletico were, as expected, as physical as they could be. 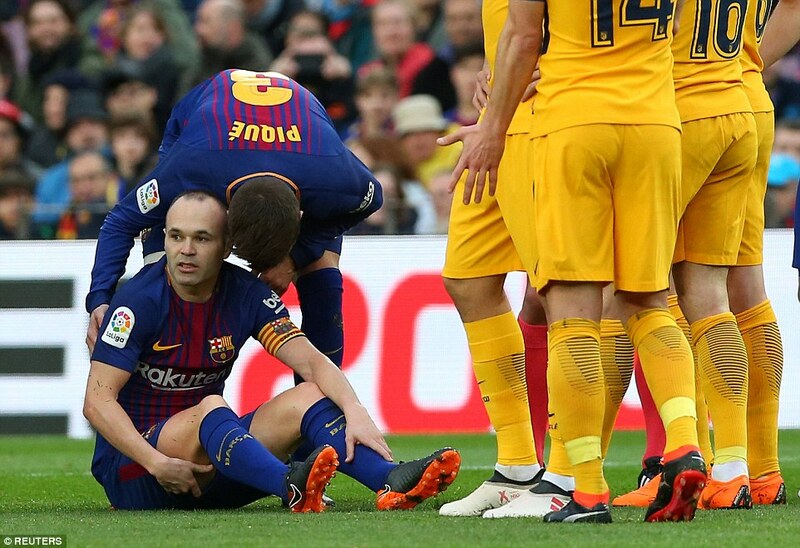 Andres Iniesta was getting kicked around by Šime Vrsaljko and he pulled up holding his hamstring after one clash. Surprisingly he seemed to run it off after coming back on but he couldn’t last and must now be a doubt for the Chelsea game in 10 days. There was a yellow for Messi when he fouled Felipe Luis. 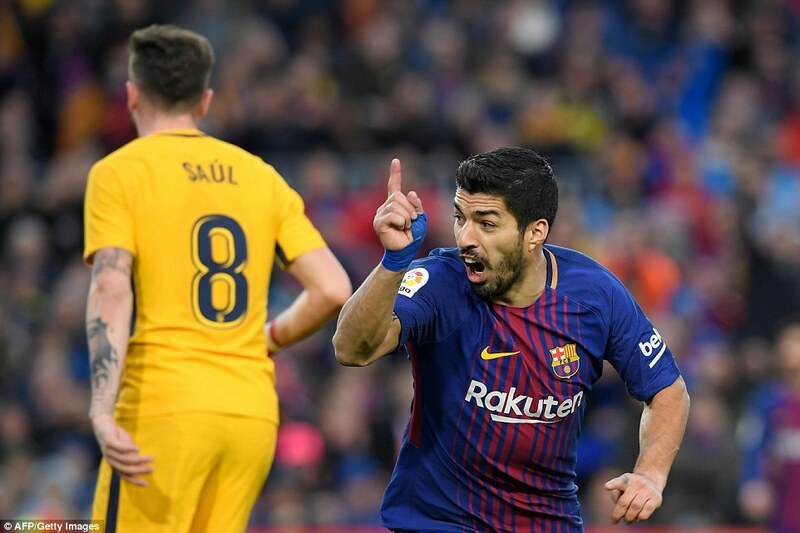 He did his best to make it seem the defender – who has already been shown two reds at the Camp Nou in previous seasons – had committed the foul. 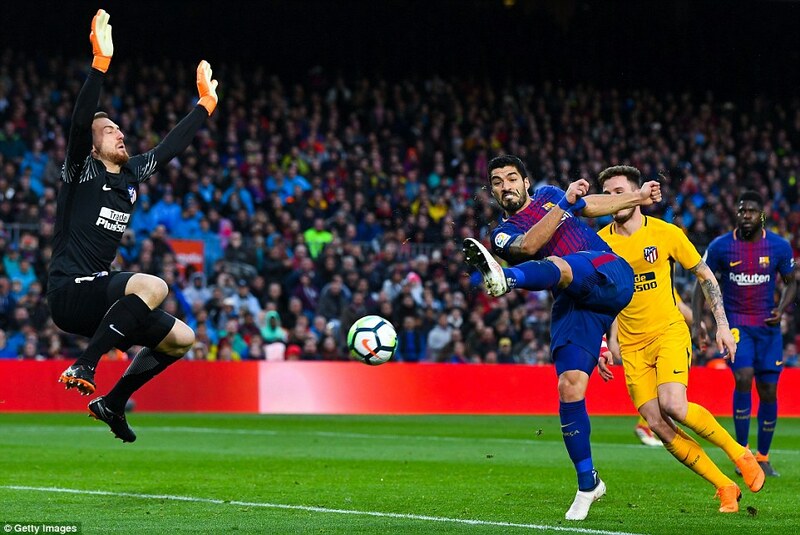 Suarez claimed a penalty for a handball from one of his shots and Coutinho tested Oblak twice. He switched to the left when Iniesta went off and looked immediately more comfortable. He also planted a corner on Pique’s head. The defender headed it just over. 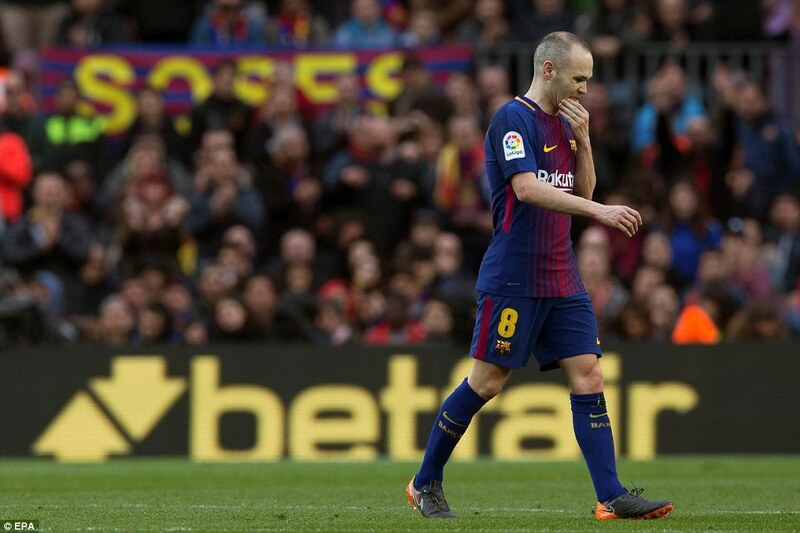 The game was a lot more frantic in the second half without Iniesta, how Barcelona will miss him if he fails to recover from the injury to his right hamstring that the club confirmed he has suffered post-match. Diego Costa had been quiet throughout. He went down dramatically holding his face after one tangle with Samuel Umtiti and with Atletico’s next attack he led the charge releasing substitute Angel Correa. Rakitic brought the winger down and was booked. With Correa and Kevin Gameiro now both on the pitch and midfielder Thomas Partey filling in at full-back Simeone was in ‘throw everything at them’ mode. This wasn’t just impending defeat; this was the league itself slipping away. 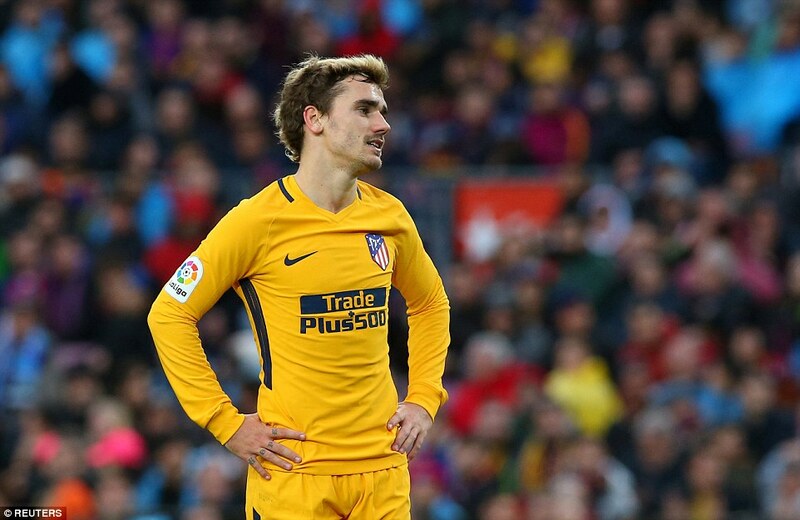 Griezmann, who had also been quiet, snatched at a lay-off from Costa and blazed it over. 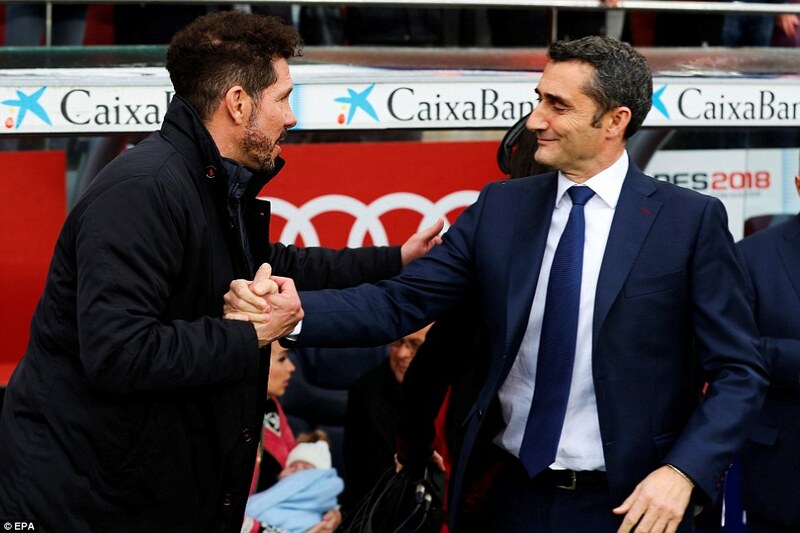 Ernesto Valverde was now permanently crouched in his technical area. He had two more cards to play with both Paulinho and Dembele warming up. He was 15 minutes from taking a huge step towards winning La Liga he was sticking for the moment. 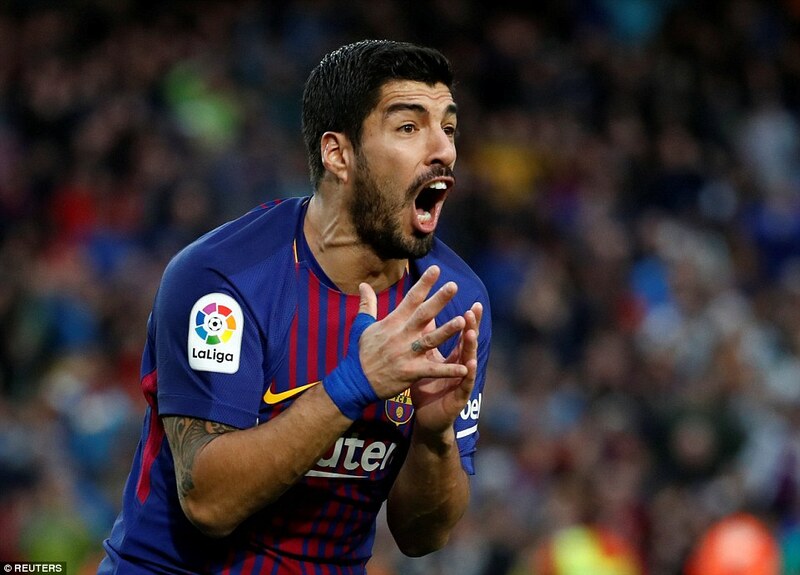 Suarez had the ball in the net but was offside, and then Busquets of all people smashed the ball goalbound but saw his shot blocked. 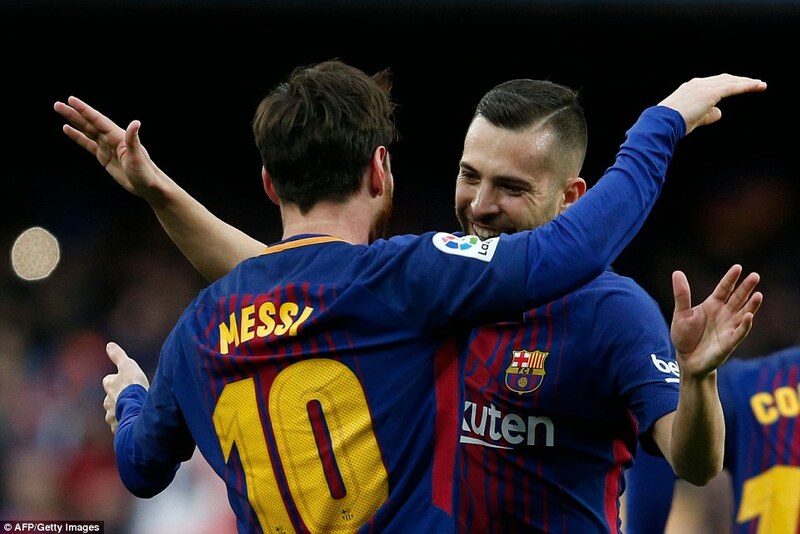 Barcelona, who had only arrived back from their last league away to La Palmas in the early hours of Friday morning looked exhausted and Valverde finally brought on a second substitute with Paulinho replacing Coutinho. Atletico are having a superb second half to their season but this Barcelona side know how to protect a lead. Jordi Alba even resorted to a thumping the ball into the corner for Suarez to chase down in injury time. They held on through just three added minutes. Messi’s goal has won the game. And Barcelona look set to win the league.